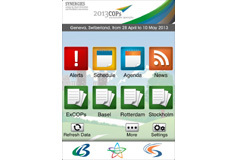 The ordinary and extraordinary meetings of the conferences of the parties to the Basel, Rotterdam and Stockholm conventions will be held back-to-back during a two-week period from 28 April to 10 May 2013 in Geneva, Switzerland. The objective of holding the meetings in a coordinated manner is to strengthen the implementation of the three conventions at the national, regional and global levels, promote coherent policy guidance and enhance efficiency in the provision of support to parties. Holding the meetings back-to-back will, at the same time, allow for a more effective and coherent decision-making on policy, technical and budget matters, including on joint activities among the conventions and other specific matters, which will help identify new concrete areas where synergies can be achieved. This approach will also result in significant cost savings. 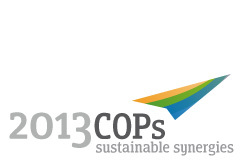 In the 2011 synergies decisions, the COPs to the Basel, Rotterdam and Stockholm conventions decided that the next meetings of the Basel, Rotterdam and Stockholm conventions’ COPs should be held in a coordinated manner and requested the Executive Secretary to schedule them in a way that facilitates their coordination. They further decided to convene the simultaneous extraordinary meetings of the three COPs back-to-back with and at the same venue as the last ordinary meeting of the COPs to the Basel, Rotterdam and Stockholm conventions to take place in 2013. The Executive Secretary developed a proposal, which was discussed by the Presidents of the COPs to the Basel, Rotterdam and Stockholm conventions at their meeting on 9 May 2012 in Geneva, Switzerland, and forwarded to the three bureaux, who approved it on 1 June 2012. At the request of the COP Presidents, the Secretariat has prepared a thought starter on a possible approach for the organization of work during the two-week period from 28 April to 10 May 2013. The thought starter was intended as a starting point for further consideration and possible elaboration upon by the bureaux, which will hold a joint meeting in Geneva, Switzerland, from 13-14 December 2012. 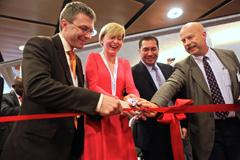 At their joint meeting in December 2012, the bureaux of the Basel, Rotterdam and Stockholm conventions agreed on the schedule of the ordinary and extraordinary meetings of the conferences of the parties. To consult the schedule, please visit the meeting documents page. To notify delegates well in advance of the meetings and to provide preliminary information on organizational matters that delegates may wish to take into account in their preparation for the meetings, the Secretariat has sent a communication (see below) on 6 November 2012 to all conventions focal points about the organization of the 2013 ordinary and extraordinary meetings of the conferences of the parties. Official invitation letters were sent following the joint meeting of the bureaux in December 2012.